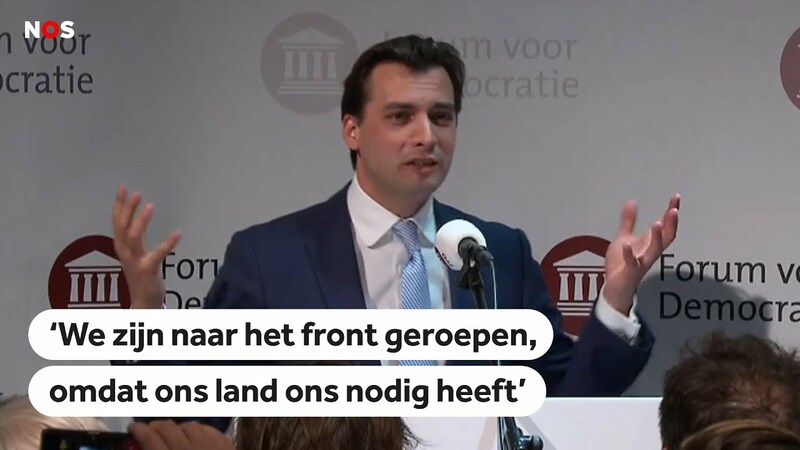 Thierry Baudet Forum for Democracy (FvD) "The owl of Minerva spreads its wings"
In the introduction of his victory speech from last night, Thierry Baudet said last night:The Minerva owl spreads its wings at nightfall". The bombastic speech has since received a lot attention and criticism, but few probably think the double bottom of this speech is worth what it is. The real meaning of the Minerva owl mentioned by Baudet is: the owl that the Freemasons worship; Moloch. The freemasons (skull and bones, the Thüle society, etc.) spread their wings across the Netherlands. Not for long! And so it went on, and so the people get the illusion that the right-wing camp is going to win and cause the big change. We recognize this rise from the right from the rest of Europe and even the US, where Donald Trump can also be found under that camp. We know it from the Brexit camp. We know it from Italy and many other European countries. The poles of the battery are set to high voltage. However, it is the preparation for the upcoming synthesis, where the right will be linked to the economic and social disaster that awaits the West. The failure of the Brexit that I have long predicted and the fall of the American economy will soon be linked to this (controlled opposition) critical right-wing group. That is why by design that the right can now win, because it contributes to the desired polarization from which chaos and then 'new order' will be created. The anti-globalization group and the anti-EU right-wing cabal will be linked to this economic disaster and radicalization in the near future. The chaos that will ensue provides the power vacuum for the new strong arm. This offers the power vacuum for the (also long-predicted here) takeover of the EU by Turkey and the recovering Ottoman Empire. It will also lead to the final settlement with critical thinkers; by calling them conspiracy thinkers. As those responsible for the chaos, any form of criticism will be definitively banned and there is only 1 truth and that is the truth that the strong arm will impose. Thierry can blame immigration and he can Utrecht attack PsyOp to play on the moods. And also in that we recognize the true face of the Masonic pawn (Minerva Clingendael descendant) Baudet. And as always in the game of controlled opposition, the subcutaneous feelings are played and fueled. When voltage is applied to the opposing poles, the voltage generated is greater. We call on salvation now, but you the voter are only held in the illusion called democracy. Elitaire Clingendael Minerva pawn Baudet can capture and stir up the latest feelings among the people. And as long as the people run after the next folk driver, the battery is being charged more and more. Then the discharge can follow; the upcoming chaos. And from that chaos comes the new order and will be called: "Never again!". It is a process that unfolds throughout the West and this can help you recognize the master script. Read everything about that master script this article. We are witnessing the preparation for chaos in Europe; the upcoming takeover by Turkey (Ordo ab Chao), the upcoming fall of the American empire and (after that, in the medium term) a third world war for Jerusalem. At the moment, however, a part of the people lives in the victory rush. The false hope for Baudet pawn. It is time to see through the Hegelian game and to recognize the political actors for who they really are. Only you can expose them. Have you fallen for a safety net pawn? Those who can help sharpen the opposites in society? 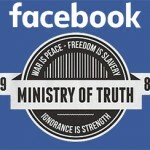 You have fallen for the illusion of democracy; driven by the royal family Clingendael institute and Minerva. A little bit about the Marrakesh treaty: Kutzooi! Today is the time, the elections, Vote advice: do not vote! ... and continue to hide anxiously under the wings of mom and dad. I can be mistaken in Minerva = Moloch, but nonetheless, we are clearly talking about secret society organizations and the Minerva owl is an important symbol (as Baudet also knows). It is clear that Baudet comes from the Minerva and Clingendael stronghold. The only owl that sees the cattle is this, also to save with your daily shopping. @ De Wage slave, good piece! I remember that I read this article earlier on this site under a different pseudonym. "Signs and symbols rule the world, not words nor laws." And here a good explanation why .. Nothing more to add, I had burned my ballot. I deposit an extra snack for this contribution, Mr. Vrijland. Young owls are called "owl chicks"! during the process of the "nose" Holleeder has given a tip of the veil to the judge! 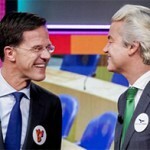 those who have the real power in the Netherlands, am I afraid of that? Well written article. Well what do I think about it. Baudet is 100% controlled opposition, he probably has to put the flag on Wilders. Wilders is actually passe. 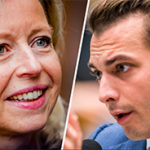 Baudet is the party for the person who would like to have the functions of the Vvd's. Rutte has benefited greatly from the incident in Utrecht, which he is cool. You can link all the green stuff to civil servants, fill left pockets ... right pockets. On vacation to India but with the credit card and insurance. Everything stays the same. None of the parties has a good majority and must therefore 'cooperate' with anddren. And so all parties are complicit in the policy. That's the purpose. Freemasonry is promoted in plain sight in your face. Oh well, the slaves don't get it. Mark Twain - "If voting made any difference they wouldn't let us do it." ... I don't want to hit myself, but it indicates that there is a correlation between the so-called attack in Utrecht and the elections. It is all so predictable ..
.. Thanks to the hospitality of this Freemason Masonry and Bilderberger .. The man sitting to the right of Slabdullah is De Jong who can now call himself Deputy Prime Minister, again it is a small club and the chair dance is in full swing .. This was 100% agreed between the Netherlands and Turkey. Too much publicity means that it was directed, planned for the Turks and Dutchmen who both fell for it. 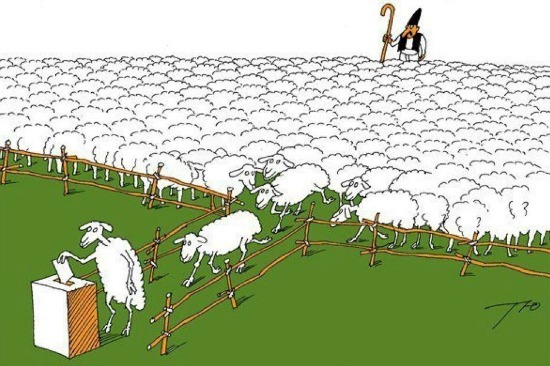 The sheeple so easy to influence. They just ask for it. Well, hollow leather means the usual suspects that hold the key positions. I am not going to explain this further to who they are. ..holleeder does not make me laugh the same figure who was involved in the so-called Heineken abduction and what was completely milked out by Peter OM Regelneef de Vries in his meaningless rag of the same name and we are not yet rid of them when the sheep are bored then we pull that hollow leather from the old box together with Peter whipped milk ..
A moment or topic perhaps but is actually known how the police found out where Heineken and his driver were locked up? This has never become clear to me. Mystery? The sentence that Baudet uses seems to be a quote from the German philosopher Hegel. He wrote: "The owl of Minerva does not begin its flight until dawn." Hegel meant that people only see or understand an event when it is almost over. " All the more Baudet demonstrates to be a pawn and to be fully aware of how the game is played. In addition, RTL must use this title to catch the Google searches that flow to the Martin Vrijland website. Baudet: "We are being destroyed by the people who must protect us"
I understand that Baudet spoke to two fossils to act as an informer in South Holland, Wiegel and Paul Scheffer. No system shockers looked up that hs clear. Those two people can't just retire. You can see that it is always the same incrowd. I think the link with the owl of Minerva and Moloch is a bit too far away. But despite the fact that Baudet is extremely convincing, there is, in my opinion, one main reason that the elite need Baudet. And that is to lure people to the voting counters. The elite are as if people are going to see that voting makes no sense at all because they are still being sewn. As soon as people wake up to this fact and boycott 'votes', their power structure starts to collapse. To get people to the polls, the politicians must stand for what the people want to hear. And among a waking population you need a Thierry Baudet. Of course, the elite do not want politicians to expose their climate lie and stop immigration, but it may be (temporarily) sacrificed. Baudet says he wants to restore confidence in politics, he has now succeeded quite well. And that is exactly what matters (for the elite). "The Council of State pointed out in its annual report that confidence in politics and traditional political parties is crumbling and functioning is jeopardizing democracy." I read in a Volkskrant article from 2017. The intention was that you just click on the link under the word Moloch and then you come to a video and comment in which I explain. The image of the owl as a philosopher has been maintained ever since. It is not without reason that Meneer de Uil in the Fabeltjeskrant is the all-knowing narrator. What Hegel - and also Baudet - meant: insight only comes when the consequences of something really become clear. It looks a bit like the Cruyffian 'you will only see when you realize'. Baudet thus refers, among other things, to the 'climate madness', the measures that he believes cost too much money, while in his eyes they have relatively little effect. Exactly, I saw him last night, but didn't have time to work on my website anymore. They read along and then they see that tens of thousands of people end up on my website because they are going to search for that statement by Baudet, so they have to push me down in the Google results. It is a big game that is being played and they are clearly afraid that people will REALLY wake up. I only do it on my own and the media have millions (if not billions) and they have the controlled alternative media and they have a whole army of social media and they have their network at Inoffizieller Mitarbeiter and they have the AIVD that measures and knows (and controls it all) .. and so on! Pim Fortuyn was murdered at the age of eleven on 6 / 5 for 6: 05 hit by 5 bullets, 6 shells found next to him and there was something about 5 from the 6 police on the spot. this means taking extensive time for it and they have done so. The same style is used to give the people (ert) what they want so badly. You have login a reaction to place. « The dead of the attack in Utrecht surely prove that it cannot be a PsyOp? Enter your e-mail address to register and receive an e-mail immediately with a new article. You can also click on the green bell to receive a push message on your phone, i-pad or computer. The cookie settings on this website are set to 'allow cookies' to give you the best browsing experience possible.If you continue to use this website without changing your cookie settings or you click on "Accept" below then you agree with these institutions.